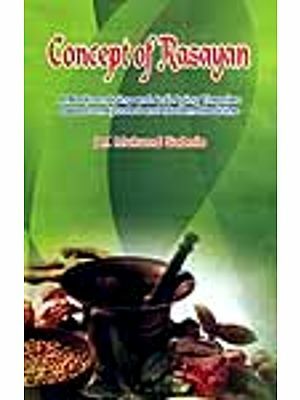 Long before modern day science discovered the power, Ayurveda had already found ways of harnessing it. What your are holding in your hands is an age old recipe to health and happiness handed down through Zandu’s family. It is filled with the goodness of Kesar, freah Amla, exotic herbs, spices and trace minerals. A spoonful everyday is all it takes to rewind the biological clock and make you feel youthful once again. Each 100g is prepared from: Amalaki (fresh) pulp 45g, Kunkuma (Saffron) 200 mg, Asvagandha 200mg, Suksmaila (Elaichi) 100mg, Lavanga 200 mg, Marica 200mg, Sunthi 200mg, Jatiphala 100mg, Tvak 100mg, Tejapatra 100mg, Pippali 200mg, Goksura 200mg, Nagakesara 100mg, Musali 100mg, Vidanga 100mg, Atmagupta (Kauncha beej) 100mg, Bala (beej) 200mg, Vamsa (Vanshlochan) 400mg, Godanti bhasma (A.F.I. – 1) 100mg, Mukta Shauktik pisti (S.Y.S.) 100mg, Abhraka bhasma (A.F.I. -1) 50mg, Yasada bhasma (A.F.I.-1) 50mg, Ghrta (Ghee) 5g, Iksu (Sarkara) & Excipients q.s. Dosage: 1 to 2 teaspoons every morning, preferably with milk or Zandu Honey.